Many people who become concerned about light pollution want to know what they can do to make a difference in their community. Beyond fixing your own lighting, one thing you can do is work to get an outdoor lighting ordinance adopted in your community. Outdoor lighting ordinances or codes are a great tool for ensuring that municipalities implement good, safe outdoor lighting. A well-written ordinance, with proper lighting installed, will save the public money and increase safety. Thousands of cities have adopted such codes and they can be a great tool for a community to use to control light pollution, including glare, light trespass and skyglow. 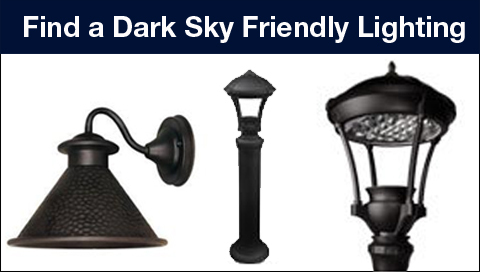 In 2011 IDA and the Illuminating Engineering Society of North America approved the Model Lighting Ordinance, an outdoor lighting template designed to help municipalities develop outdoor lighting standards that reduce glare, light trespass, and skyglow. First, contact your local government directly and ask or check your city’s website to see if you can search its codes and ordinances. If you can’t find the relevant codes and ordinances on the website, try your favorite Internet search engine and search using the city’s name along with the words “municipal code.” That should reveal where the city publishes its codes and ordinances. Unrelated terms may show up in a search, such as regulations about sign lighting or lighting cigarettes, but if nothing related to outdoor lighting or light pollution turns up, it’s a good bet that your community doesn’t have an outdoor lighting code. If your community does have a lighting code, spend some time reading it and trying to understand what it does and doesn’t say. Look to see when it was adopted and if it has ever been revised. It may be that the code was adopted a while ago and needs to be updated. Once you understand the requirements set out in the code, check it against the reality of the local nighttime environment. Even the best of codes don’t work if they aren’t being enforced. Many towns and advocates think that the adoption of a code is the end of their efforts. Instead, it’s often merely the beginning. Continuing education is key. Otherwise, a community might forget why it even adopted the original code and how it helps its citizens. If that has happened, it may be necessary to reeducate local leaders and city staffers to make sure the code is enforced. The details of code enforcement may or may not be spelled out in the outdoor lighting ordinance itself, so check the code to be sure. Many ordinances are complaint driven, but there are things to look out for before making a complaint about someone’s lighting. First, IDA recommends always having friendly neighborly discussions with lighting offenders before making a complaint to local government. Second, some codes have a grandfathering provision exempting lighting that was in place before the ordinance was passed. If your city has such a provision, many older lights may be exempt. There may be other exceptions or conditions in the code too, so be sure to look for those before making a complaint. If a complaint is valid, then city officials might need to make a nighttime site visit to verify the claim. Often they’ll be reluctant to – that’s understandable as most of us don’t want to work beyond our normal work schedule. Stick to the facts (rather than making an emotional appeal), but be persistent when discussing your concerns with city officials. Remember that while your city works for you, it’s likely that the code enforcement office has too much to do and not enough resources to get everything done at once. 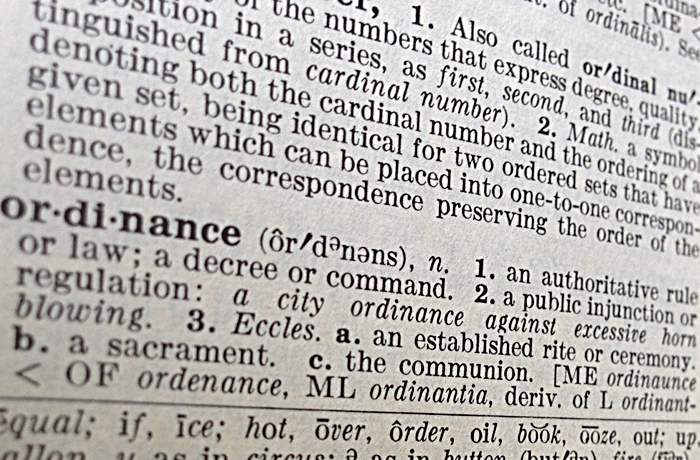 Getting an ordinance passed can be a lengthy process. A good way to start is to make an appointment with a member of city staff, the mayor or your representative on the city council (for a personal, detailed explanation on how to get a lighting ordinance enacted, see guest blogger Bob Gent’s post). Don’t worry if your first meeting ends up being a short one. It’s entirely possible that your local officials don’t know what a lighting ordinance is or why one would be needed. It’s also very important to be prepared with relevant and objective information (you might want to check out our Lighting for Policy Makers webpage). Keep the discussion focused on the positives outcomes for the city and try to anticipate any questions that the officials might ask about costs and safety issues. Let them know that many cities have already passed outdoor lighting ordinances and that having one can benefit a community by reducing glare and light trespass, while promoting energy conservation and healthier neighborhoods. 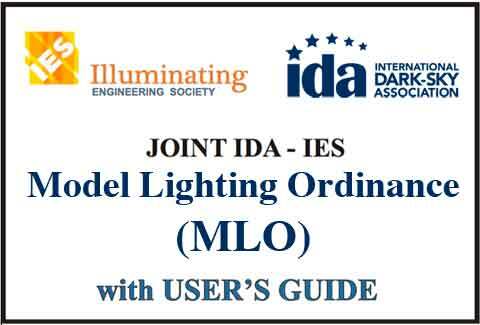 IDA has many resources that can assist you, including sample ordinances and a Model Lighting Ordinance (MLO) that was developed cooperatively with the Illuminating Engineering Society. The MLO and the MLO “Lite” (which is coming later in 2015) can serve as a template for the community. Should lighting zones be adopted? Are any special considerations needed to protect environmentally sensitive areas or an astronomical observatory? Should the new rules be applied to older, non-conforming lighting? Should there be a timeline for when all lighting must be brought into compliance? Questions such as these are likely to draw strong and conflicting opinions, but with enough perseverance and community support, your efforts will be rewarded.